The Missouri Chamber of Commerce is joined by business organizations in asking legislators to pass three pro-jobs initiatives they say wouldn’t cost the state anything, but would save employers and businesses millions. Chamber President Dan Mehan says the chamber is pleased with jobs initiatives addressed by the legislature last year, but points to some unfinished business. Gov. Nixon vetoed legislation last year that would have struck case law that offered workers more protection than federal law if they were discriminated against, and would have capped the damages for which they could sue. So, Mehan says they’ll give it another go. “Among the list are issues left unresolved last legislative session that will be advocatied by Missouri’s top business associations and employers: workers’ compensation reform, employment law, and tort reform,” Mehan says. Mehan says court interpretations are exposing employees to expensive litigation while creating poetial havoc in Missouri workplaces. Associated Industries of Missouri President Ray McCarty says anti-discrimination laws should be in line with federal requirements, and caps on how much former employees can sue for should be put in place. 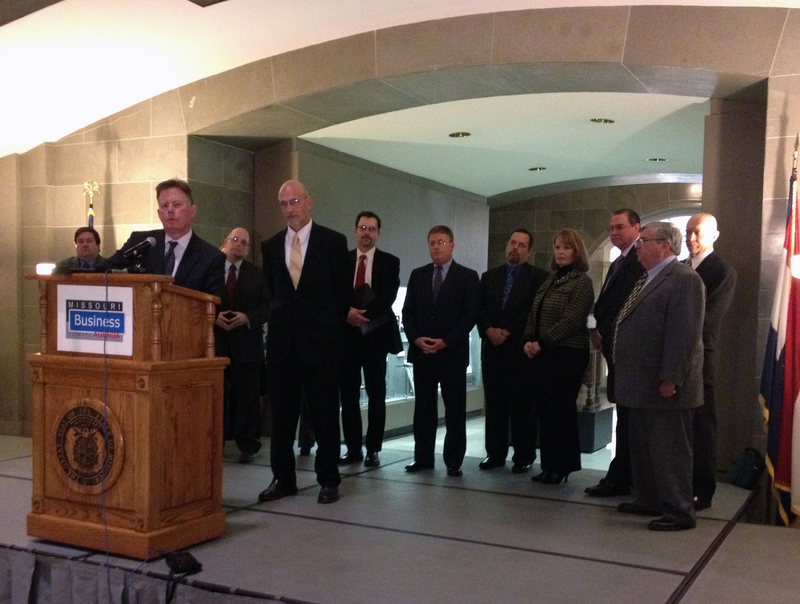 State Business leaders said that was a political stunt, and businesses need that protection. The National Federation of Independent Businesses is pressuring legislators to take up and pass tort reform. State Director Brad Jones says frivolous lawsuits are costing employers 250 billion dollars a year. He says NFIB understands lawsuits are necessary to protect victims, but small businesses become an easy target without protections. The Missouri Merchants and Manufacturers Assocation says workers’ compensation reform is necessary to put more protections in place for business owners. Director Tim Phelps says the state’s second-injury fund is broke … and broken. Phelps also says occupational disease laws need to be addressed, so that those who contract an illness on the job can get taken care of under the workers’ compensation process. Under current law, those suffering from occupational illnesses can sue criminally and civilly, “and that was never the intent,” he says.